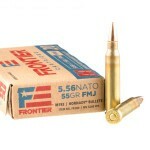 5.56x45 ammo derived from the .222 cartridge and was officially adopted as the standardized NATO round in 1963. 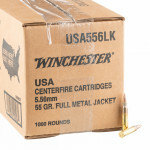 Essentially, 5.56x45 as a caliber came into being because the military was using 7.62x51 and critics believed the larger round was too powerful for light service rifles, leading to rough recoil and a slower than desired rate of fire in military service rifles. 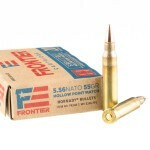 Today, the NATO standard cartridge is designated as “M855”. 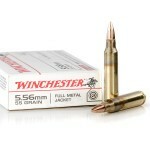 You’ll often find it in-stock and available to shooters. 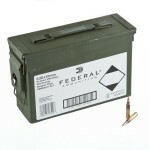 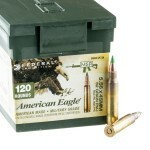 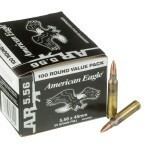 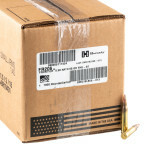 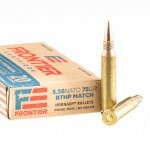 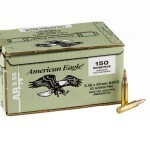 We also carry a huge in-stock selection of .223 ammo for sale here. 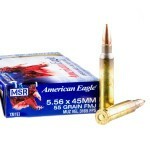 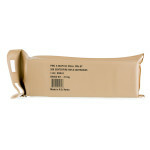 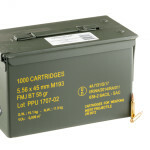 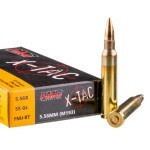 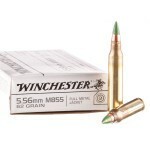 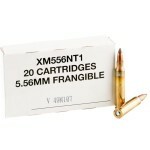 The majority of 5.56x45 rounds sold today are full metal jacket (FMJ) or full metal jacket boat-tail cartridges. 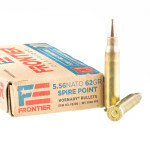 Incredibly fast, with a muzzle velocity that’s generally more than 3,000 feet per second, you’ll find 5.56 ammo with a 62-grain projectile as well as lighter rounds with a common 55-grain bullet. 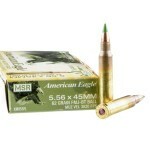 In either case, you can expect muzzle energy to be in the ballpark of 1,300 foot pounds. 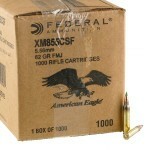 While the civilian .223 Remington round is very similar, it is not the same as 5.56x45 ammunition. 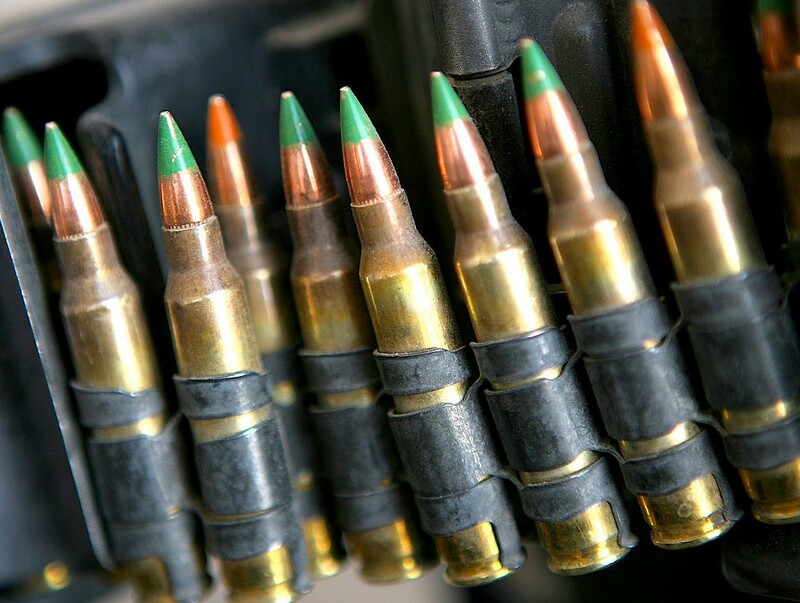 The two cartridges are loaded to different pressures when adhering to SAAMI (Sporting Arms and Ammunition Manufacturers Institute) specifications. 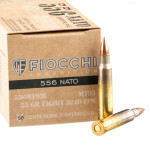 Because of that difference in pressure, you may run into trouble if you elect to fire 5.56x45mm NATO rounds from a chamber with a shorter .223 Rem leade. 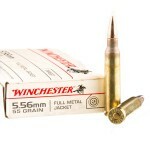 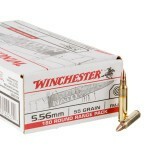 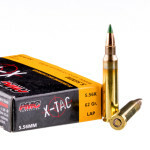 5.56x45mm is one of the most popular calibers at BulkAmmo.com. 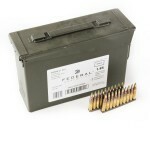 While there are a number of reliable rounds, the most popular manufacturers of the NATO round tend to be produced by Lake City, Federal American Eagle, and PMC (Precision Made Cartridge).